I'm up late, laying awake, I can't sleep. Visions of quilts are dancing through my head. 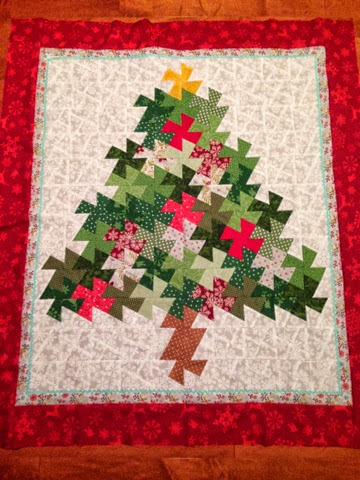 I'm getting excited to finish up my tree quilt. 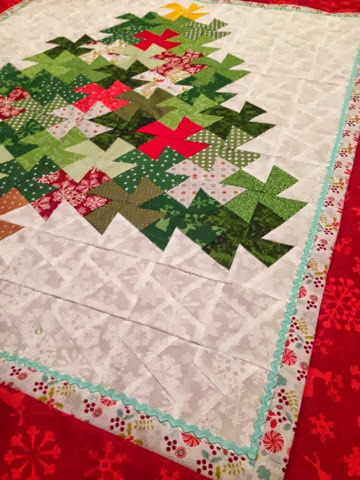 I put the border on and now I'm just waiting to quilt and bind! Can't wait to hang it up for the holidays!